Yorkshire-based internet service provider Plusnet is branching out into pay TV, according to an update on its website. Plusnet customers with Sky will soon be able to add the three BT Sport channels - BT Sport 1, 2 and ESPN to their existing Plusnet package. The ISP's website was updated yesterday with new terms and conditions, outlining details of how its customers with Sky TV will be able to add BT Sport to their package, although the new service has yet to be launched by Plusnet. According to Plusnet's latest terms and conditions, which came into effect this week, a subscription to the standard definition BT Sport channels will cost £5.99 a month, while HD access will cost £7.49 a month. At £2.50 a month extra for HD, the HD surcharge is lower than that offered to other Sky subscribers. The terms and conditions state that subscribers "must keep BT Sport for a minimum period of 1 full month from your next billing date after which your service will continue on a rolling monthly basis. If you cancel your broadband service from Plusnet then you will stop receiving BT Sport on your next billing date." Plusnet is owned by BT, and a step into offering TV services has been rumoured on social media platforms over the past few months. 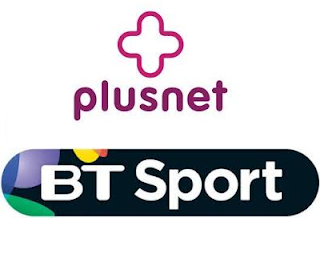 There has been no announcement thus far as to whether Plusnet will begin offering BT Sport via any other digital platform, for those customers without Sky or when Plusnet customers with Sky will be able to add BT Sport. Freesat Freetime currently does not have any pay TV elements in its service. To include streamed sports pay TV channels would need approval from the BBC Trust, as that then competes directly with Sky. The BBC is 50% shareholder in Freesat. PlusNet are currently testing YouView.